Having grown Iceberg lettuce since the early 1980's we have tried many varieties and different production methods. Iceberg lettuce is well suited to our location, having a mild climate and our soil type as it is a nutrient rich peat soil. Another positive aspect of our soil type is that this tends to produce a sweeter flavor to our lettuce. Having grown Iceberg lettuce since the early 1980’s we have tried many varieties and different production methods. Currently we grow three or four main varieties. The varieties we use are chosen to meet the changing requirements of our customers and the changing growing conditions over the lettuce season. If we were to use just one variety all year the lettuce would become too large and fluffy and not be the smaller more compact lettuce we require for our supermarket customers. 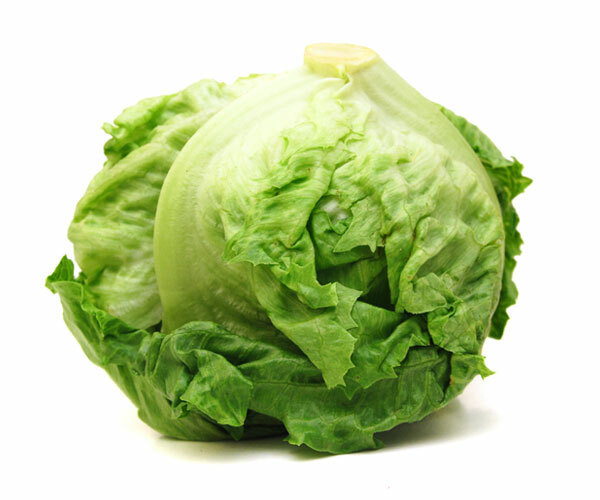 We do however also grow a proportion of Iceberg lettuce that produces a less dense head for our processing customers. This type of lettuce is required as it is used for producing chopped lettuce for catering and bagged salad sales. Iceberg lettuce still remains the main lettuce type chosen by consumers despite the ever increasing range of different types of lettuce available. 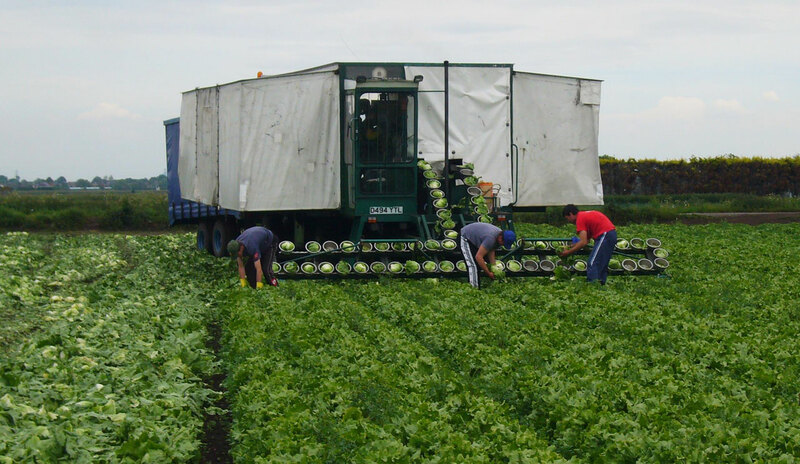 We therefore continue to strive for improved growing and harvesting techniques, although the use of our own built self propelled harvesting rigs to field pack the lettuce is the most effective harvesting method used to date. If you would like more information on our Iceberg Lettuce please telephone 01772 812704 or email office@wrightfarmproduce.co.uk. Iceberg lettuce is well suited to our location, having a mild climate and our soil type as it is a nutrient rich peat soil. In addition to our field operations we also have a distribution centre where all the produce harvested in the field is delivered to. From here the produce is vacuum cooled within 2 hours of harvest and kept in refrigerated conditions to maintain field freshness. Quality Control check the quality of all produce entering the building to ensure the produce in the best possible condition for our clients specifications. harvest and kept in refrigerated conditions to maintain field freshness. The produce is then distributed from here to our customers located throughout the United Kingdom. If you would like more information about our produce please telephone 01772 812704 or make an online enquiry. © Wright Farm Produce Ltd. All Rights Reserved.